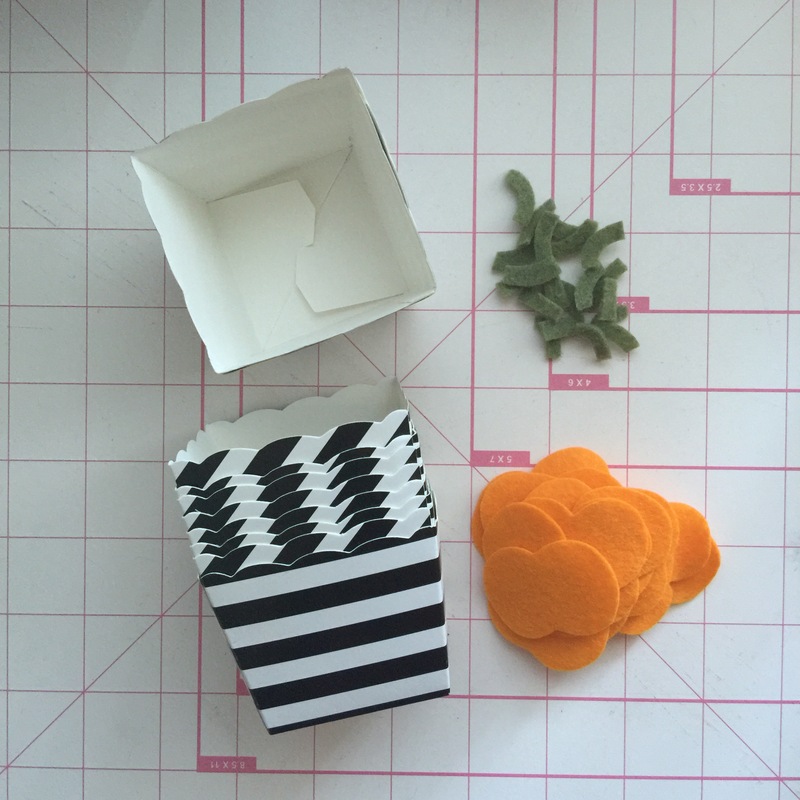 I found these cute paper treat cups at Target. They are great on their own, but I decided to give them a Halloween make over. 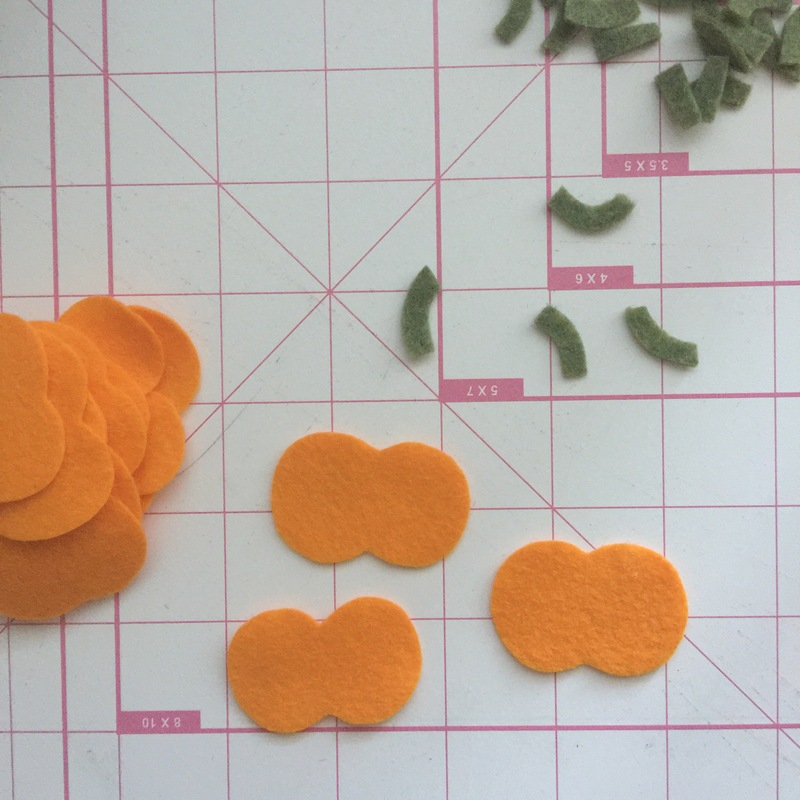 For this craft I picked out orange and green felt and cut out pumpkin shapes to fit one side of the treat cups. 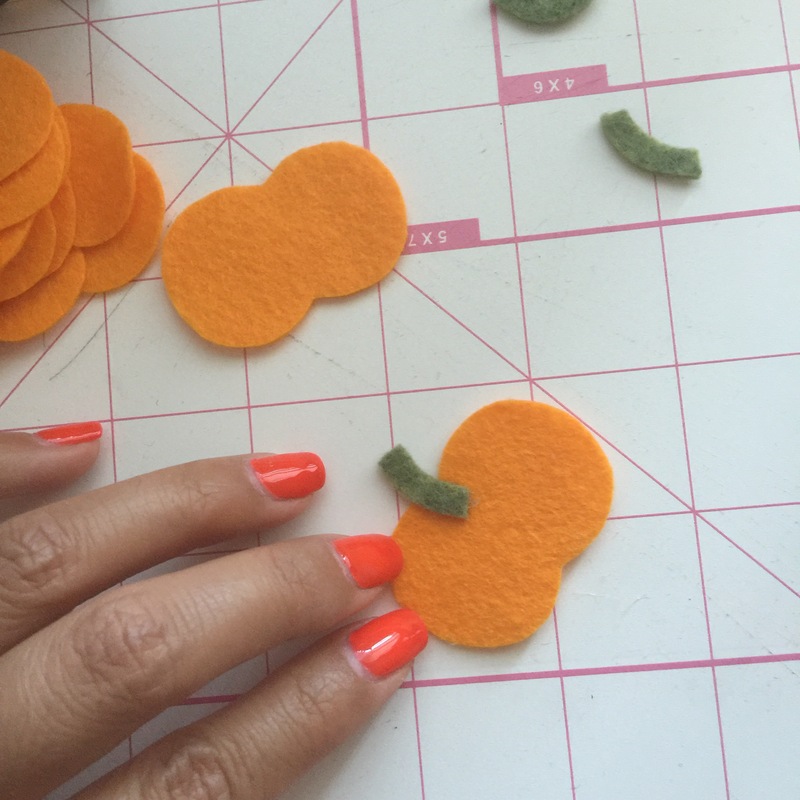 Attach the stems onto the back side of the pumpkin with hot glue. 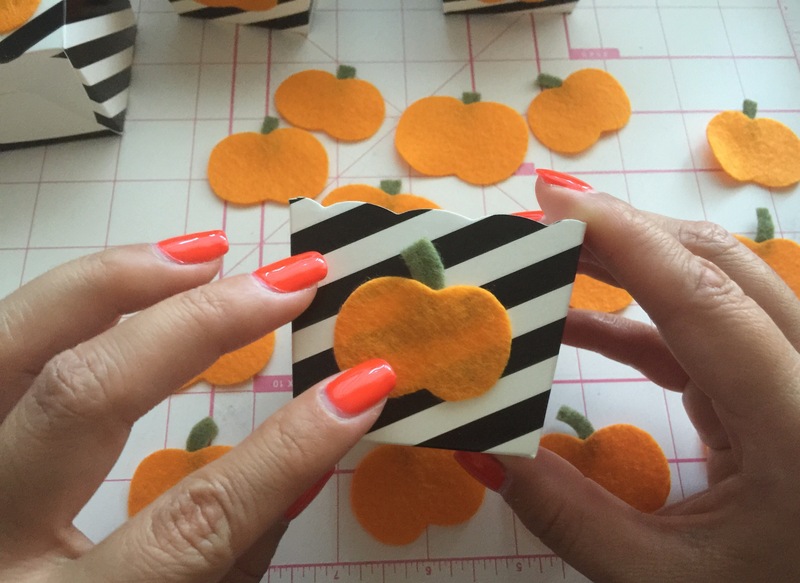 Apply hot glue to the back of the pumpkin and attach to the treat cup. Tahdah! You can also try candy shapes, ghosts, bats, … or add some jack-o-lantern qualities to your pumpkins. 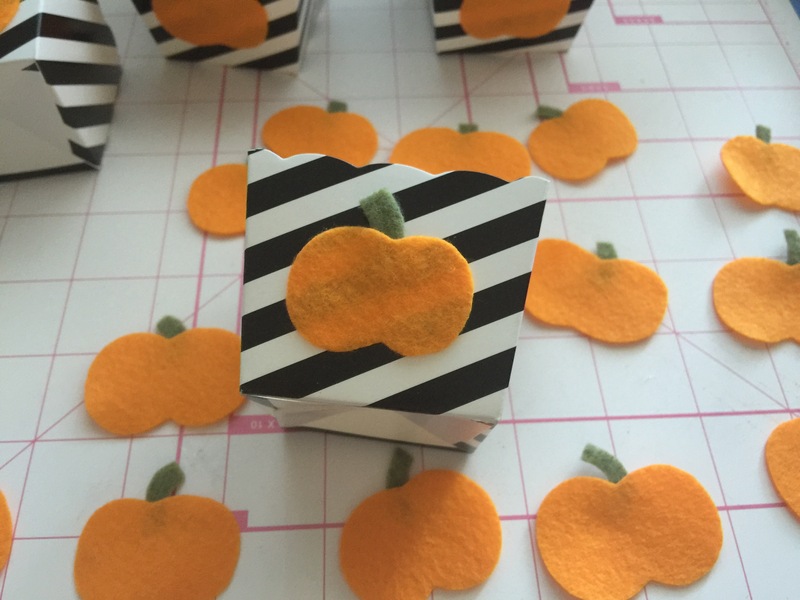 Don’t forget to add your favorite tricks or treats, too! The countdown to Halloween has begun! What other tricks do you have up your sleeves? Share below! Previous Postre:make 2016 / the decor. Next Postre:make 2016 / the company.